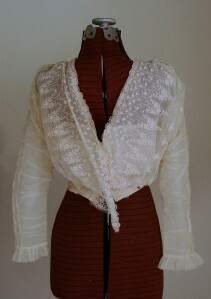 This auction is for an Antique Vintage Embroidered Cotton Net Lace Blouse. 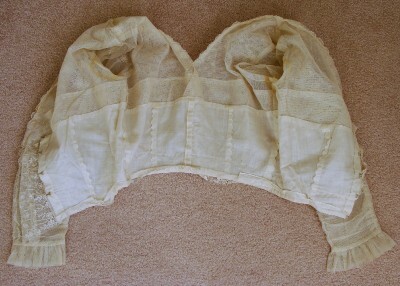 It has hook/eye closure at back and is missing one hook. 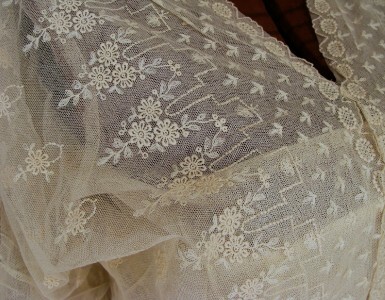 There are snaps around the bottom edge and it is lined. 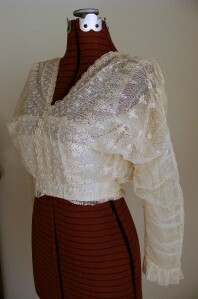 This blouse was made by hand there is extra lace at back as if it was not finished completely see 2nd to last photo. Very good condition with no holes, some discoloration and a bit of yellowing underarms. Please see pictures for details and e-mail with any questions. Thanks for looking. Approx. 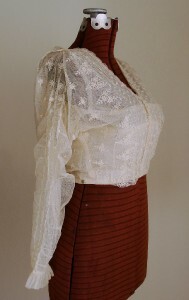 Measurements: Please compare measurements with a piece of clothing that fits you to get an accurate fit. Length: 15" from top of shoulder to bottom edge. 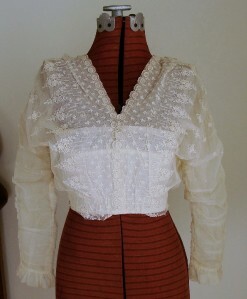 A wonderful shirtwaist from the Edwardian era.